The Junior High Choir is comprised of 7th-8th graders who love to sing and worship the Lord! 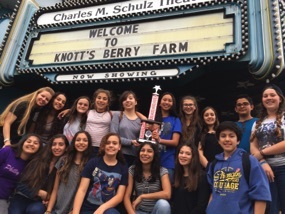 They have 5-6 performances throughout the year, which includes choir festivals, performances at CCCS and CC Downey . This choir takes the next step in improving their vocal production, music theory, sight-reading, and rehearsal etiquette. However, the most important goal is to train these students to worship the Lord in everything and to prepare them for H.S. Choir. The Elementary Choir is comprised of 4th-6th graders who enjoy praising the Lord through singing!!! This choir meets once a week for 30 minutes after school. They have 3-4 performances throughout the year. Students in Elementary Choir learn the basics of good vocal production, reading music, music theory, rehearsal etiquette, and worshipping the Lord through choral music! 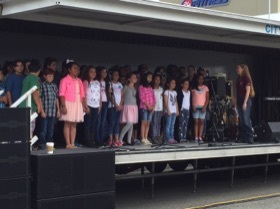 We are blessed to have so many talented students here at Calvary Chapel Christian School singing for the Lord.